for file recovery and partition recovery. Powerful features with easy steps! 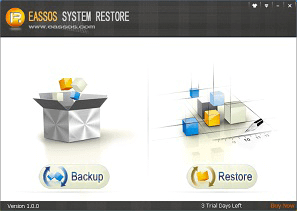 Recover files and partitions from PC, laptop, SSD, USB drive, digital cameras, cellphones and more. 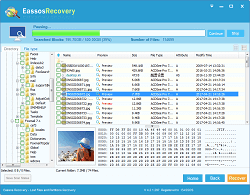 Support to recover various files, such as photos, videos, audios, documents, emails, archives, etc. 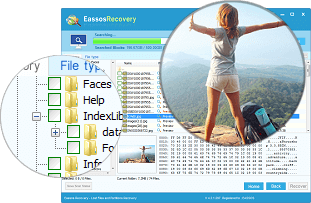 Eassos Recovery Free is the best free software to recover deleted files from emptied Recycle Bin, and recover lost data due to software crash, formatting, hard drive damage, virus attack, partition loss and other unknown reasons. It supports IDE, SCSI, and SATA hard disks, USB flash disk, memory cards, external hard drive, virtual disk, etc. Only a few clicks can get back all lost data! Recover Files From Partition – Recover data from formatted, RAW or inaccessible partitions. 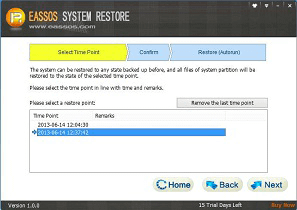 Recover Lost Partitions – Recover deleted or missing partitions and restore partition table. 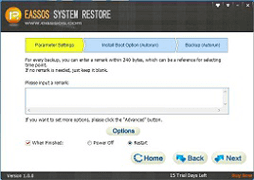 Recover Files From Disk – Recover files and partition from damaged and unallocated disk. Recover Deleted Files – Recover deleted files from empty Recycle Bin and removable devices. File preview helps to determine the chance of successful recovery and allows users to find exactly what they want to restore even if file name is no longer available. Data filter searches files by file name, type, modify time or size, so that desired files can be found quickly and easily. 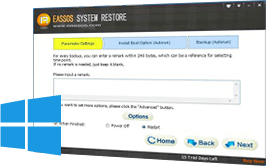 Eassos Recovery Free is powerful and easy-to-use data recovery software. It has a step-by-step wizard interface which only needs 3 simple steps to recover all lost data and requires no professional skills. Step 1 Download and install it on computer or other devices. Step 2 Scan storage device with proper recovery mode. "All of my photos and documents were recovered in the same folder and file names as they were originally. The program worked perfectly. You have my vote."